Some 268 of America’s top galleries and art museums will be showing us what they’ve got at Art Basel Miami Beach 2018. Since launching in 2002, Art Basel has become North America’s premier art fair, so expect amazing contemporary paintings, films and videos, sculptures, drawings, photography, digital art and installations from more than 4,000 artists—you might even see them if you can tear yourself away from the parties and buzzing rooftop bars. 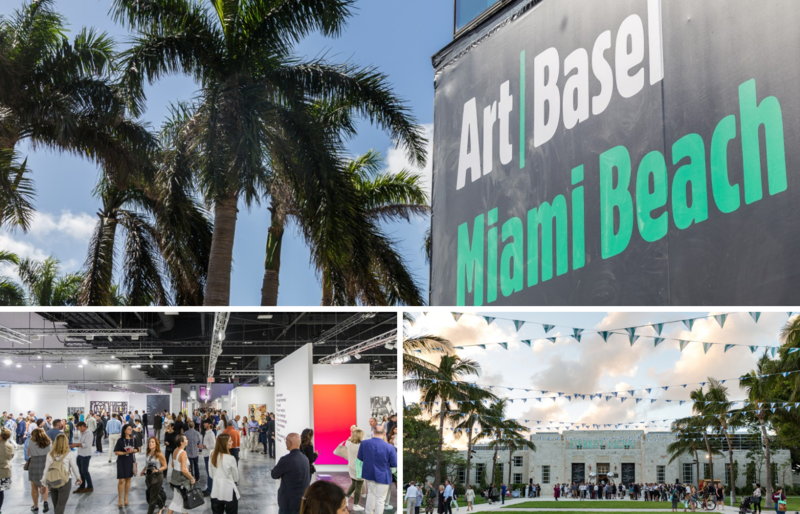 Drawing over 70,000 visitors annually, Art Basel is among the most influential and beloved cultural events in North America. From Pablo Picasso to today’s cutting-edge artists, Art Basel unites global collectors willing to pay top dollars for artwork. And after a day exploring the galleries, Miami Beach becomes your playground. Rub shoulders with influencers and socialites and at one of the many parties that Art Basel is known for. Art Basel has announced that 268 galleries—including 29 new exhibitors—from 34 countries will participate in its 17th edition. The Galleries section of the show comprises 198 outfits, two of which—Kayne Griffin Corcoran and Cardi Gallery—are newcomers to the fair. Twelve galleries that have previously participated in the fair’s three other sections will be part of “Galleries” this year. Among those enterprises are David Castillo Gallery, DC Moore Gallery, Essex Street, and Simões de Assis Galeria de Arte. In this year’s Positions sector, 14 galleries—eight of which are entirely new to Art Basel Miami Beach—will each present a major work by a single artist. Parque Galería, Upstream Gallery, Bodega, and Commonwealth and Council are some of those first-time exhibitors. In the Nova section, 29 galleries will show new work by up to three of their artists. First-time participants include blank projects, Selma Feriani Gallery, Galerie Christophe Gaillard, Grimm, Linn Lühn, Morán Morán, and others. For years now Art Basel at Miami Beach, one of the world’s most prestigious art shows, has attracted hundreds of private jets to the region, spreading all around the different executive and international airports in the area. Art Basel is expected to draw close to 900 aircraft when it arrives in Miami in December.